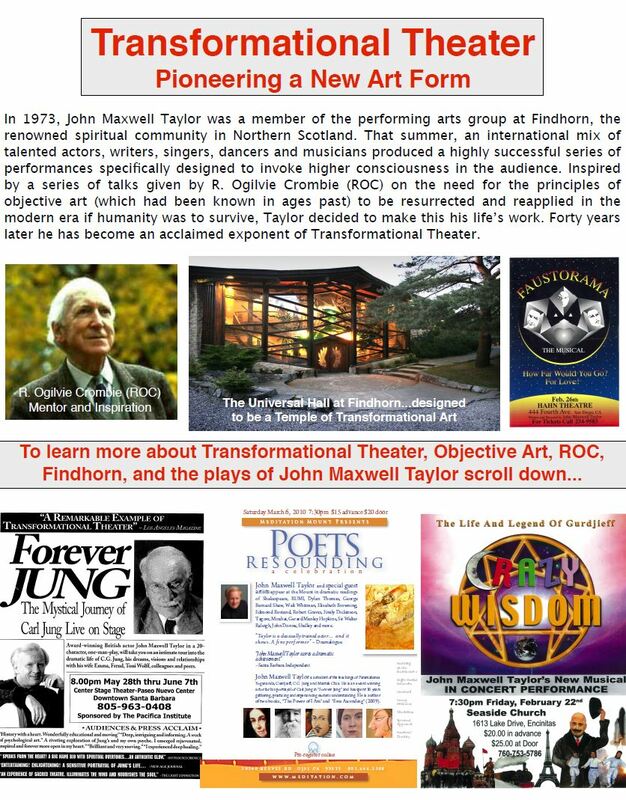 John Maxwell Taylor is perhaps best known in America for his portrayal of Carl Gustav Jung in Forever Jung, the award-winning, 20-character, one-man play Taylor penned about the life of the famed Swiss psychologist. Taylor has starred in Forever Jung in more than 250 performances, earning widespread critical acclaim and the prestigious Gradiva Award for Best Actor, presented in New York in 1996 by the NAAP (National Association for the Advancement of Psycholanalysis). 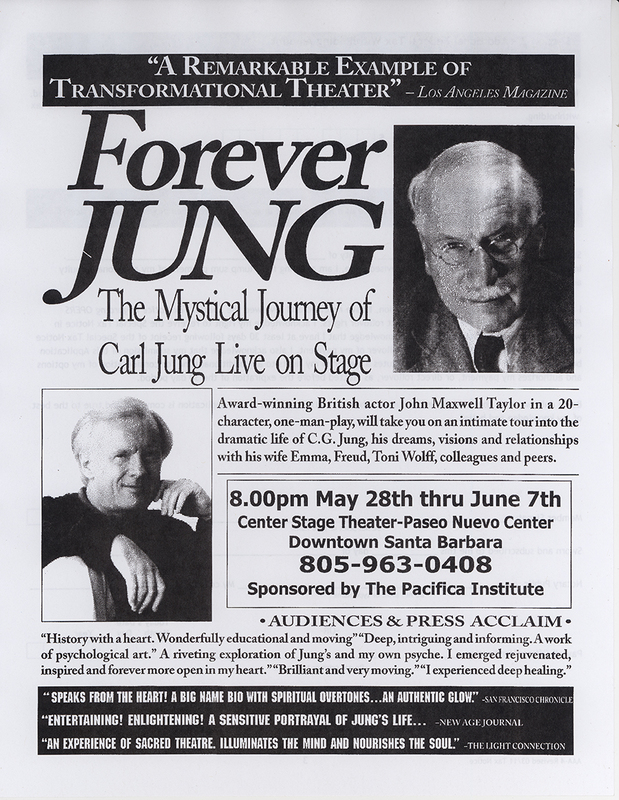 Critics and professionals commend “Forever Jung”. “Delightful…Even Amazing…inspired with emotional sensitivity. Taylor is a genuine professional.” – George & Suzanne Wagner, producers of the film about Jung, “Matter of Heart”. “Our members returned from Forever Jung with glowing reviews – Charlene Sieg, C.G. 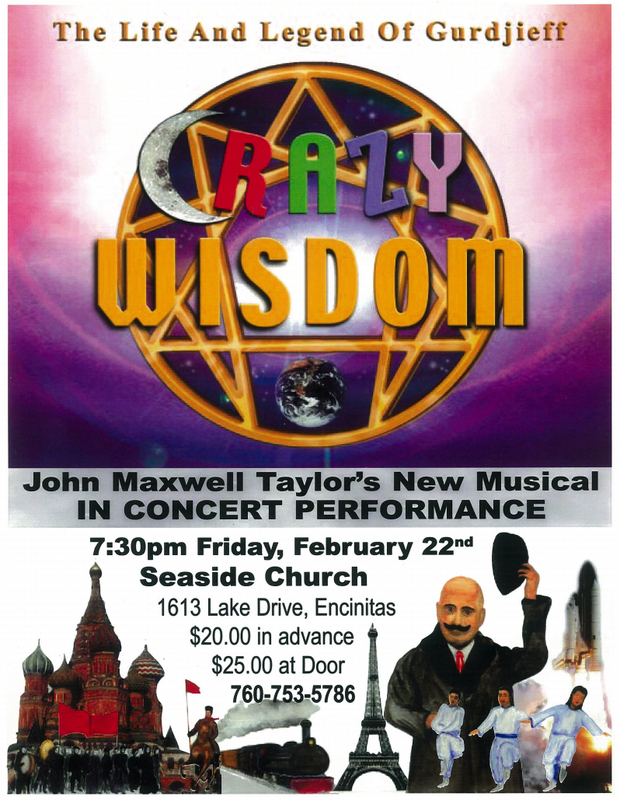 Jung Institute, L. A.
John Maxwell Taylor’s CRAZY WISDOM tells the epic life story of George Ivanovich Gurdjieff, a Russian mystic who escaped to the West with his followers during the Bolshevik Revolution. 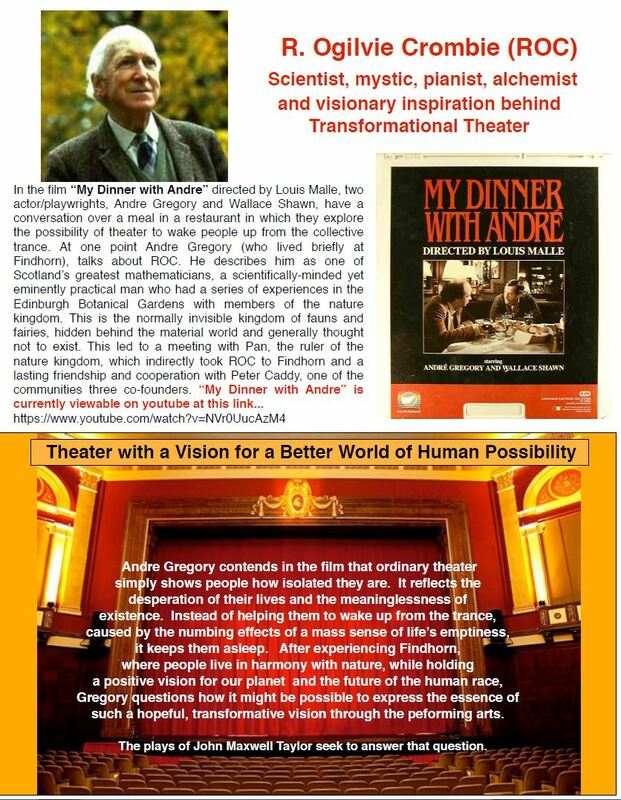 In the 1920s he founded The Institute of Harmonious Development outside Paris, attracting international attention and visitors like Frank Lloyd Wright and his wife Olgivana, who became a disciple. 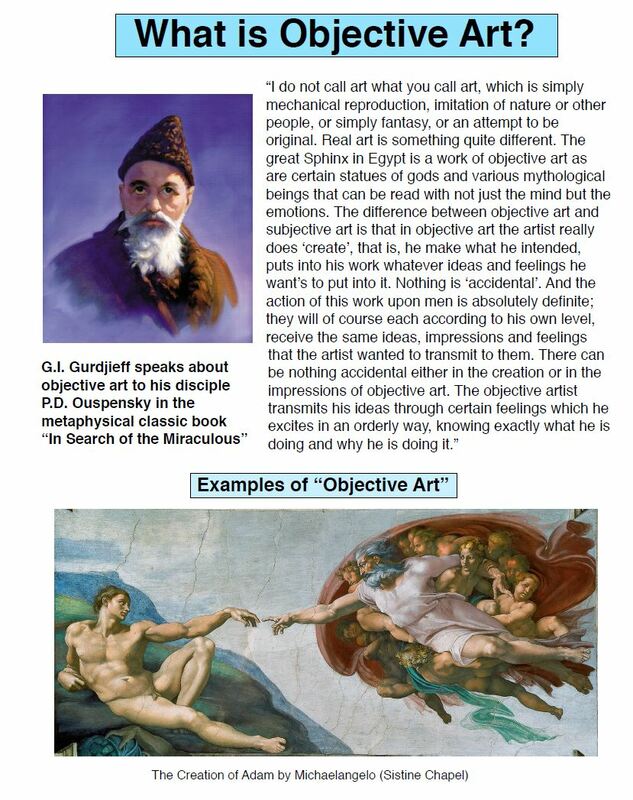 Claiming that life on earth as we know it is simply mass sleep, Gurdjieff avowed that he could restore people to a wakefulness through his radical ideas. Fifty years after his death, his influence lives on, affecting such diverse figures as Bob Dylan, Boxer Rubin “Hurricane” Carter, Bill Murray, and others. Sales of In Search of the Miraculous, the premiere book on Gurdjieff’s life and teaching, passed the million sales mark several years ago. 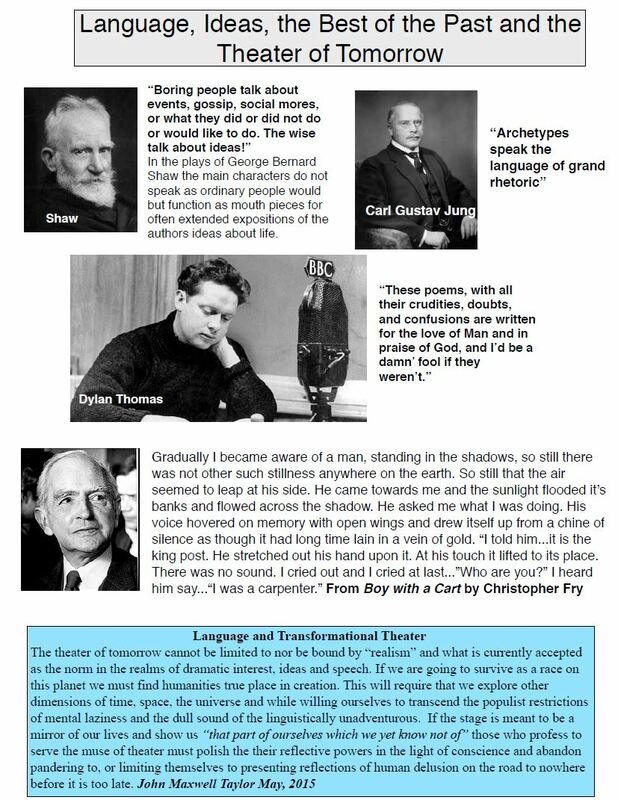 The musical is peopled with an amazing variety of characters who come in and out of Gurdjieff’s life seeking truth. Rich with melody, dance rhythms and wordplay that is alternately dramatic, touching, humorous and enlightening, Crazy Wisdom is sure to please devotees of musical theater and anyone interested in the awakening ideas about spirituality that now occupy the hearts and minds of so many people. 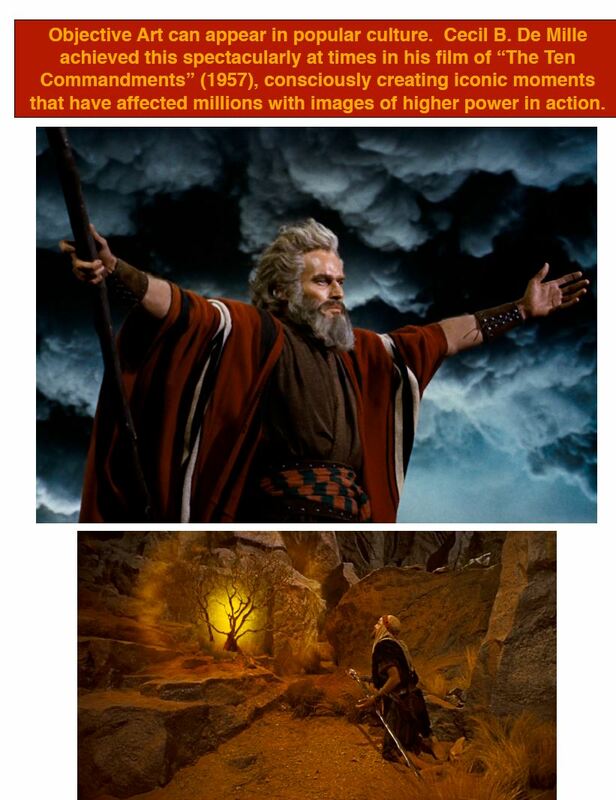 The world premiere took place at Seaside Church in Encinitas, California on February 22, 2002. With a cast of 14, CRAZY WISDOM, The Musical, met with an overwhelming success, where an enthusiastic crowd continued to give rounds of applause to this breakthrough development in the art of musicals.